We sure had some fun, didn't we? Rollercoasters, orgasms, and that time Johnny accidentally attached jumper cables to our nutsack. I didn't want to have to choose, but your desire for clog-less arteries and my need for this package of Bacon Peanut Brittle was too good to pass up. No hard feelings, honestly. I just hope my next heart comes from a marathoner who was hit by a car and not an ax wielding serial killer. Thanks again! I'm personally getting tired of the whole bacon obsession, but I have to admit this doesn't sound half bad. 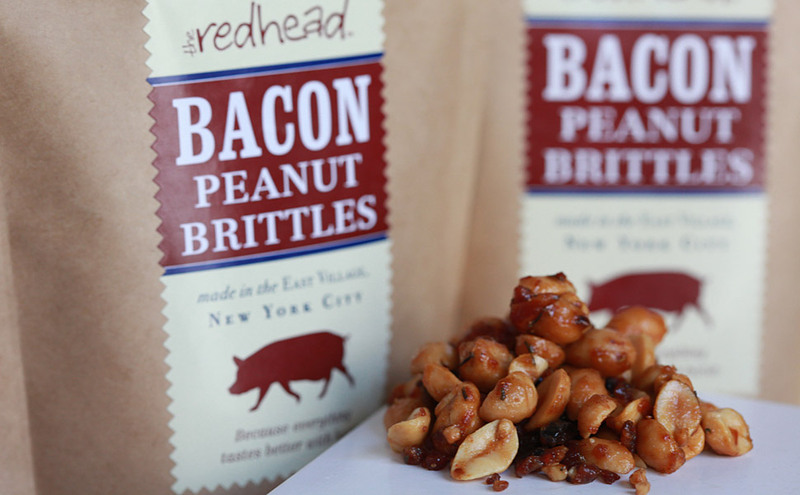 peanuts are just savory enough to be good with bacon. said heather.epp on April 21, 2010 12:51 AM.